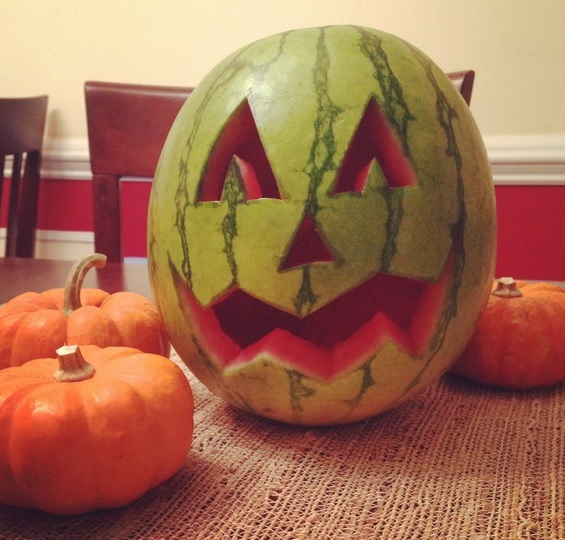 JACK-O-MELON SAYS: “HAPPY HALLOWEEN!” - What About Watermelon? 2. Halloween is the second highest-grossing holiday of the year, behind Christmas. 5. The origins of trick-or-treating dates back 2,000 years when Celtic villagers disguised themselves in costumes made of animal skins to drive away phantom visitors. Tables of food were often left out to sooth unwelcome spirits. In the Middle Ages, people began dressing as ghosts, demons and other creatures, performing antics in exchange for food and drink.